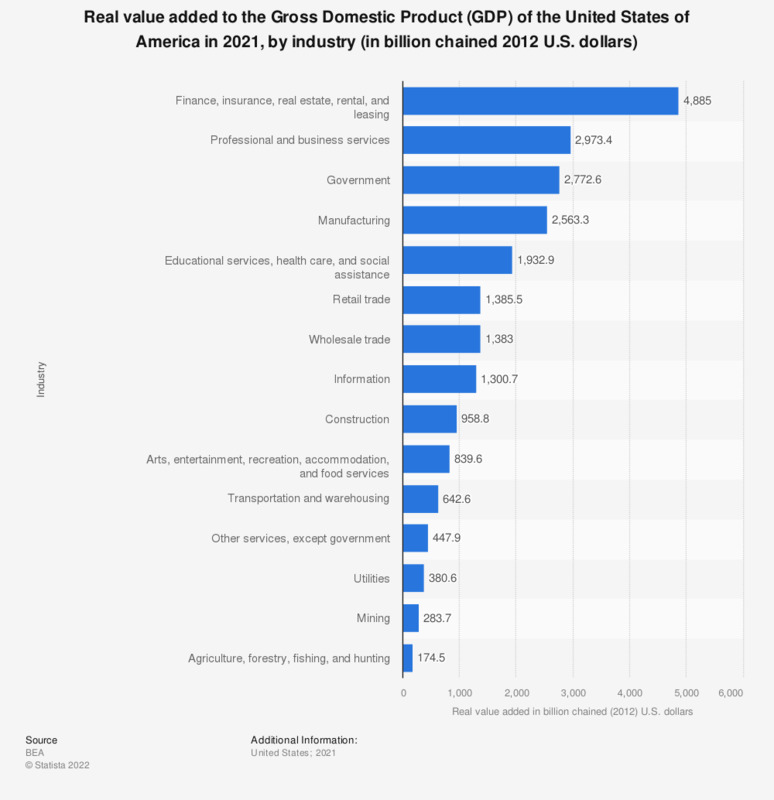 This graph shows the real value added to the Gross Domestic Product (GDP) of the United States of America in 2016, by industry. In 2017, the mining industry added 370.5 million chained U.S. dollars of value to U.S. Real GDP. Total Real GDP amounted to about 17.1 trillion U.S. dollars. U.S. population: How many packages of Tia Rosa Mexican food and ingredients have you eaten in the last 30 days?